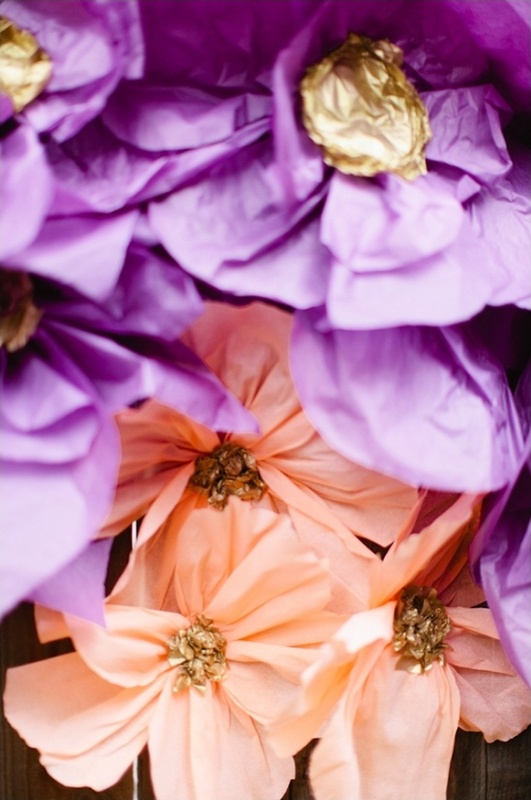 When you spend all day putting together bouquets for other brides, you begin to gather ideas for your special day. 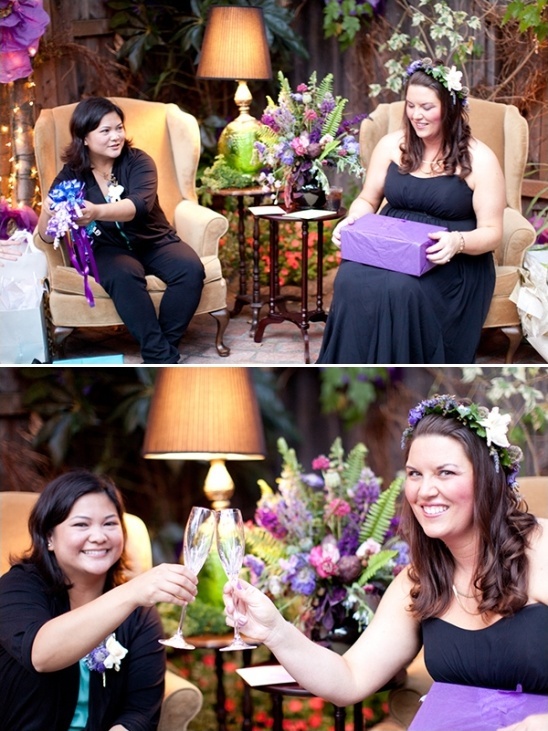 So ... when Kristin, the owner of Posh Shoppe Florist, got engaged her sister and friends knew the bridal shower would simply have to be covered top to bottom in amazing flowers. 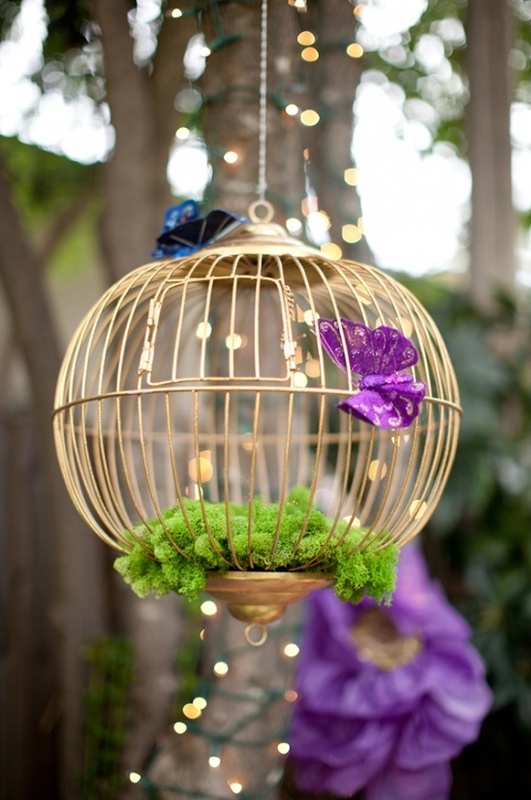 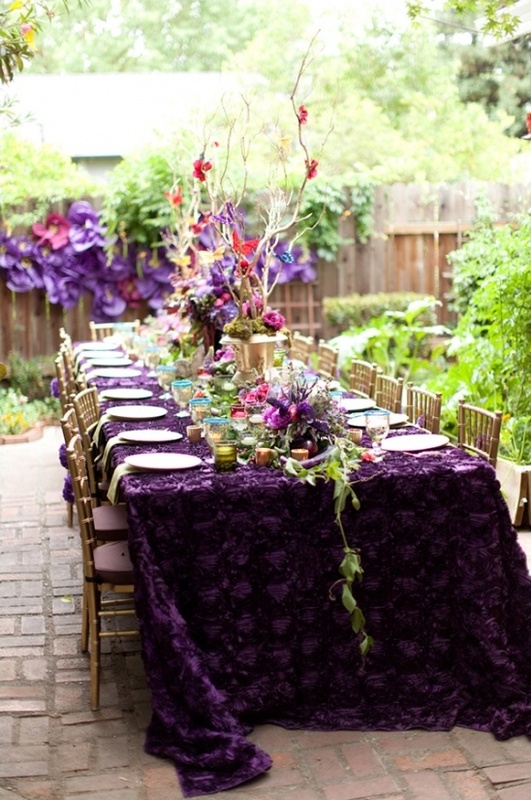 With a little nontraditional help from the Bride-to-be, they were able to pull off a spectacular Midsummer Night's Dream themed garden bridal shower that is sure to impress. 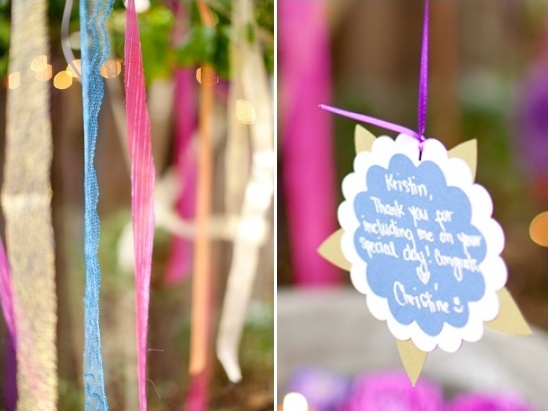 Need more bridal shower ideas? 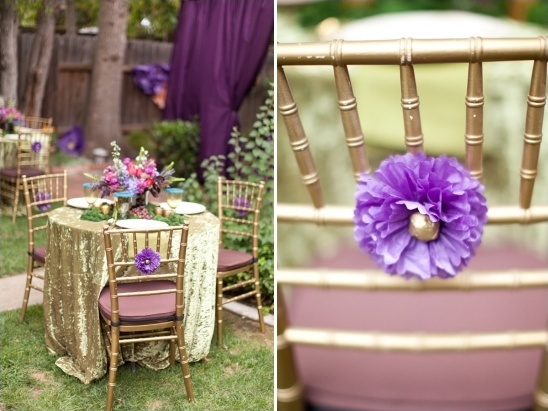 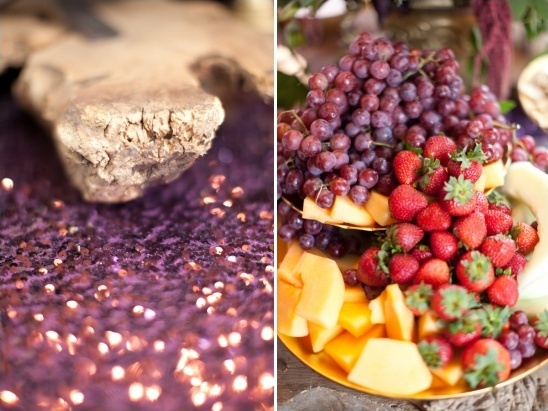 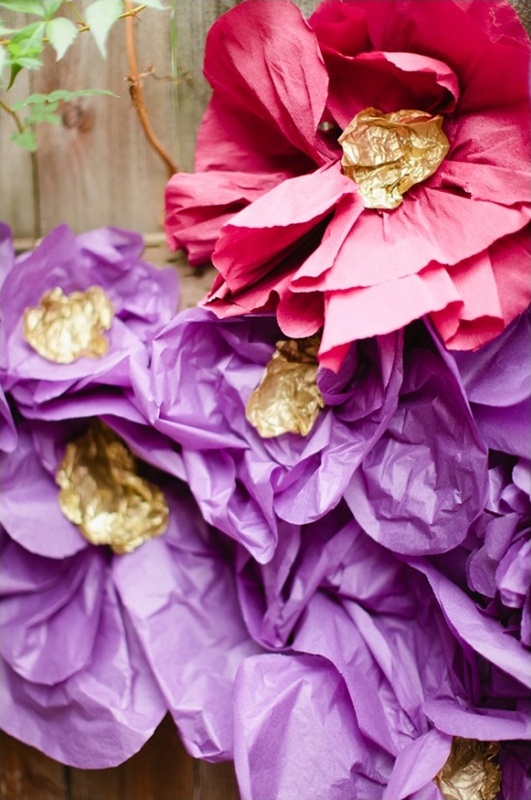 Take a look in the full gallery here to get all of the ideas you will ever need from all these purple and gold bridal shower ideas. 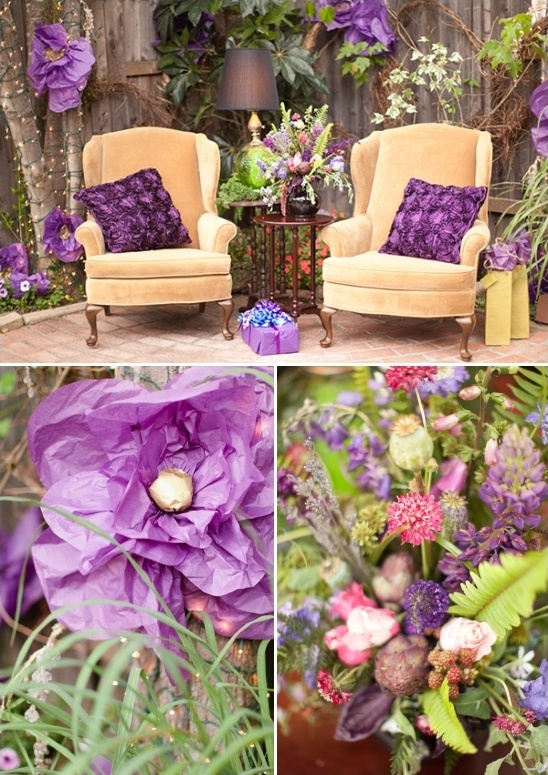 Photographed beautifully by Marin Kristine Photography. 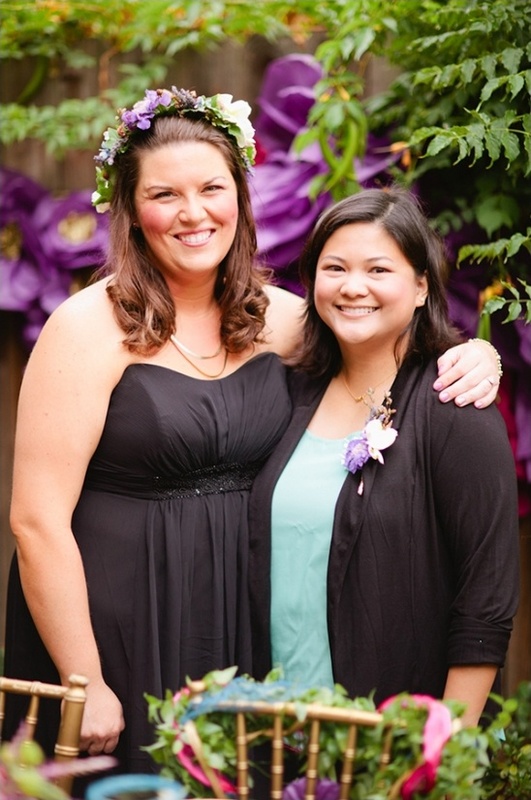 I loved being able to design the flowers along with our event designer and good friend Amanda Dannenberg. 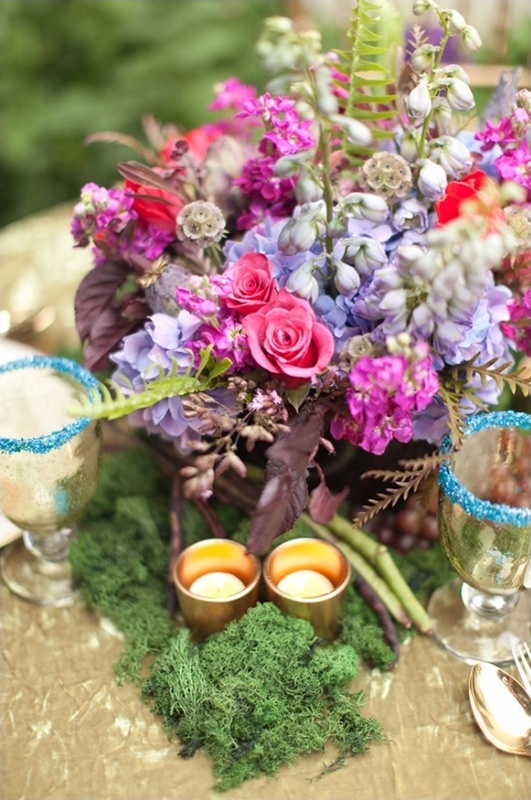 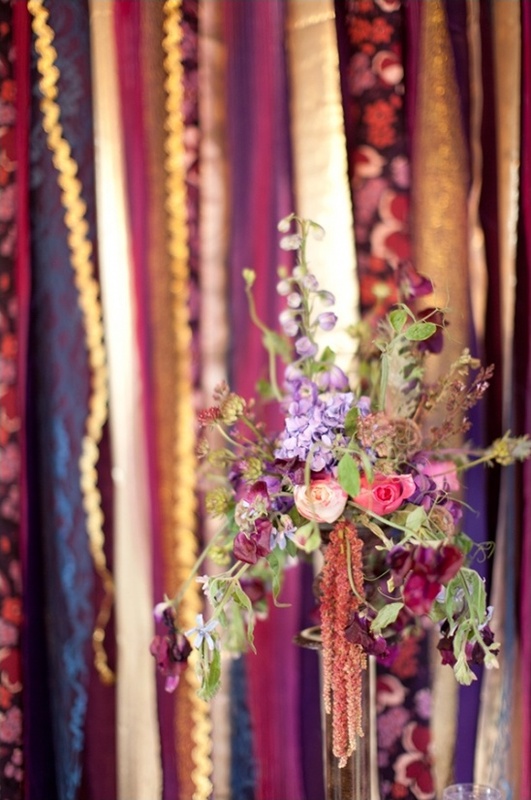 We wanted the flowers to create a whimsical and magical feeling while still looking freshly picked from the garden. 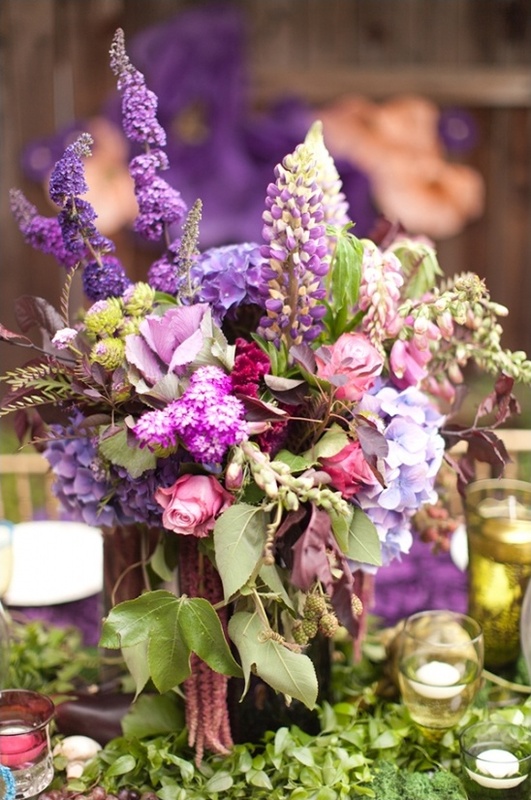 We incorporated many flowers and herbs like fresh lavender, artichoke blooms, oregano, passion vine, mint, butterfly bush and lush ferns. 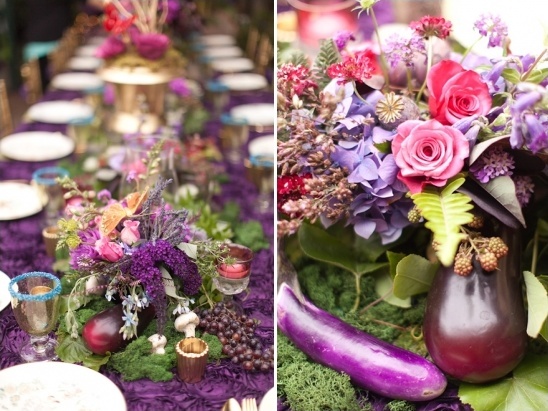 We loved including fresh vegetables and fruit for instance grapes, eggplant, mushrooms, artichokes and stems of blackberries were plentiful in our designs. 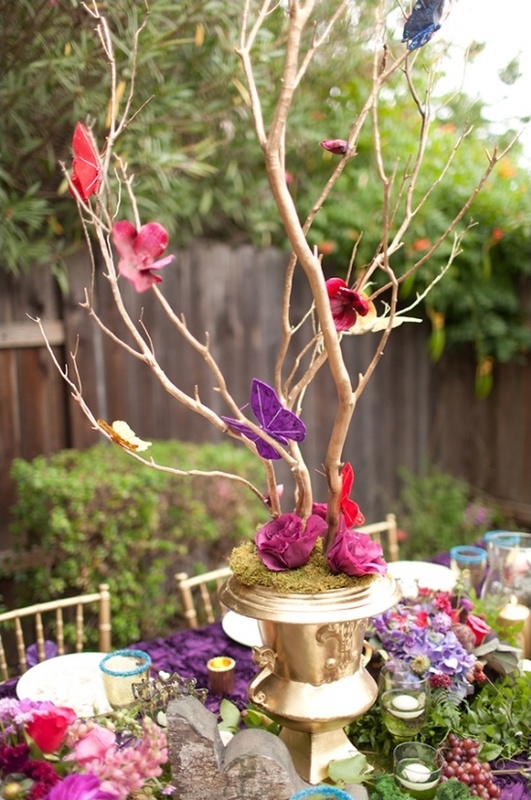 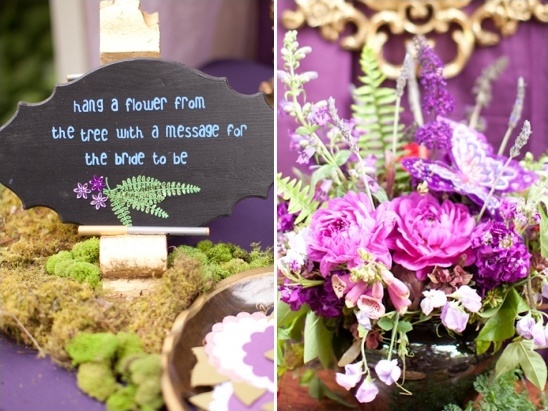 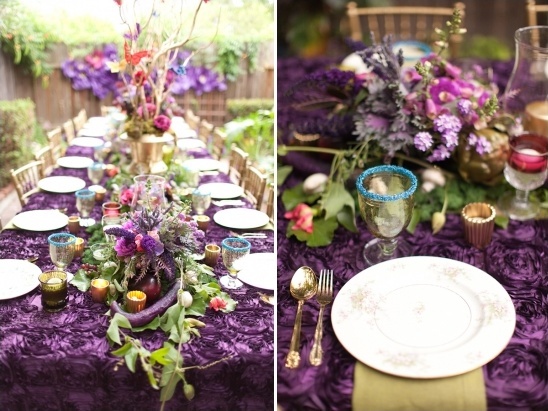 What better theme for a floral shop owner, then a Midsummer Night’s Dream garden bridal shower. 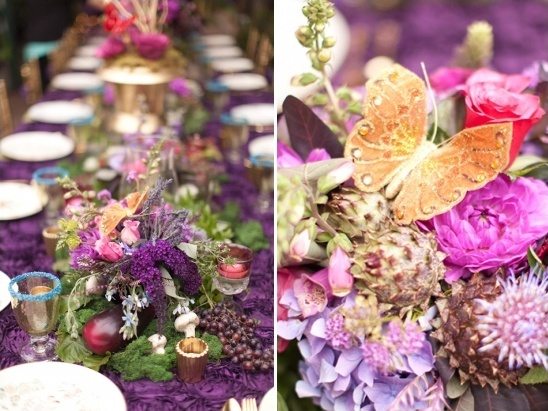 Every detail from the food to the flowers was inspired by summer’s bounty. 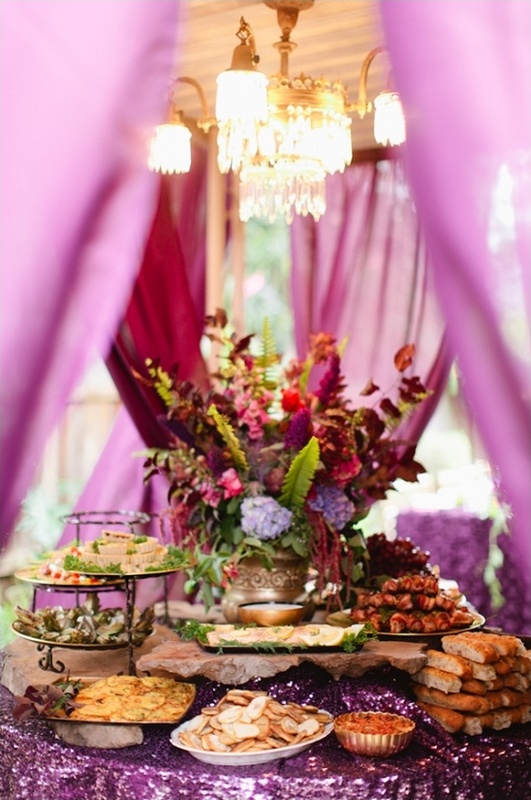 Our caterer was amazing and used tons of fresh veggies from our garden sourcing the rest from the local farmers market. 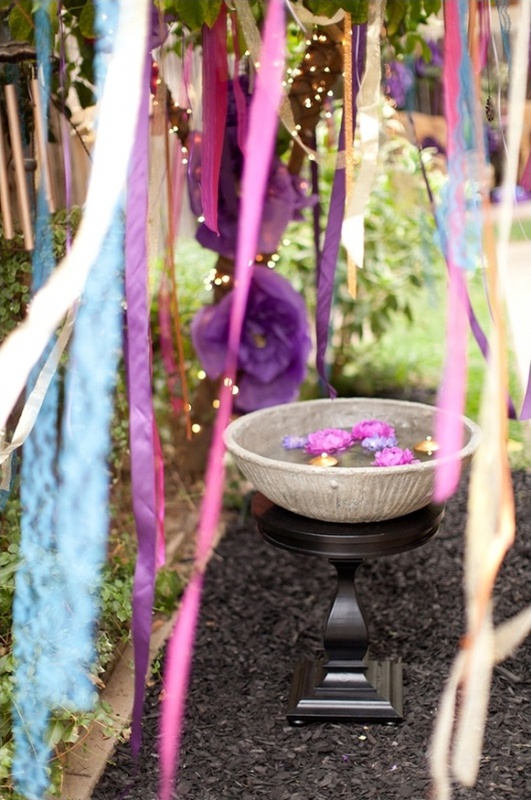 My favorite memory from the shower was being with all of my friends and family and being so amazed that they all came together to celebrate with me. 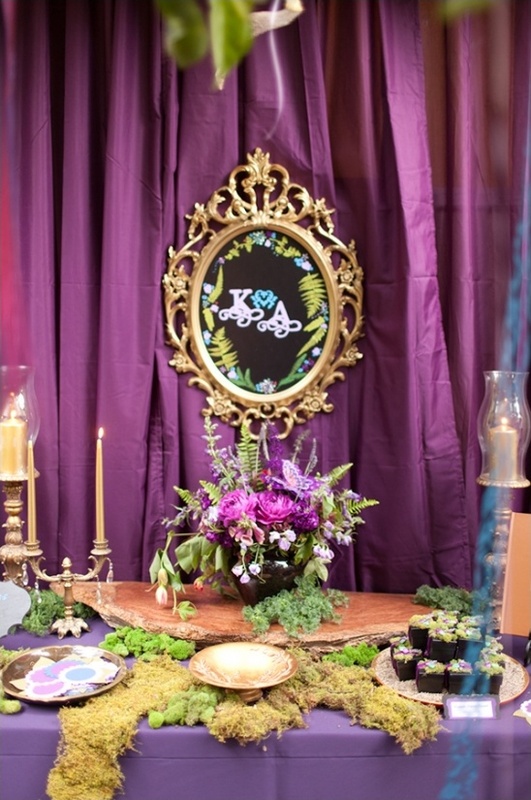 I felt like everyone put in so much work to create this magical event for me, and it really took my breath away.